Oh, that's a nice shot. You never see colored lights in fountains anymore. There is a "games" tab. Scroll down and you can find the Dawn Of The Dead Boardgame which was made around the time the film came out. 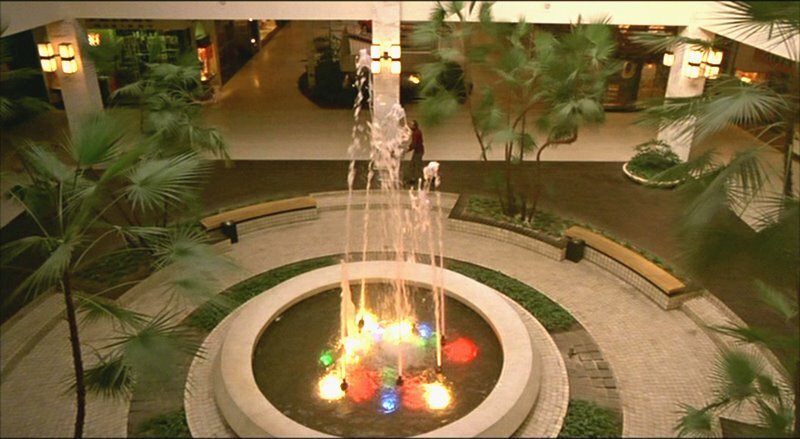 The map is based on the mall in the film. You can download the game and the pieces! And if you're a DOTD fan, it's just a great site. I gotta admit my first thought was, "WOW!" (said with awe-like reverence, of course) That's a pretty retro-licious fountain there and the palms dangling over it just give it a dreamy look. You never see colored lights in fountains anymore? How about you hardly ever see fountains anymore?!?! This is amazing, I just saw the original version of "Dawn of the Dead" (from 1978) last week. Had seen the remake a year ago, but didn't think it was anything special. But this version was way better! Awesome shopping center, better story, swank library music! I was seriously considering gathering some information about the mall and posting some photos on my blog sometime soon, but you beat me to it, Keith! Looking forward seeing more posts about it here soon! 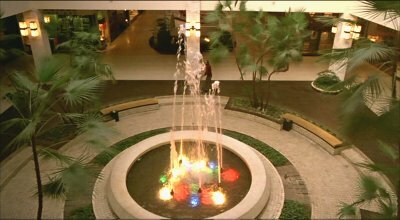 Seeing that fountain reminded me of a mall in Edmonton that I grew up going to. They had several fountains and they'd go really high at times and they were many different colored lights. It was cool. What a beautiful fountain! Too bad the zombies will be along in a few minutes to wreck everything. I'm going to be going right thru Monroeville on vacation. I'll probably stop at the mall this summer. If I go there, I should watch the movie when I get back. PJ: That is a great site (though I've never cared for the overall design and navigation scheme)! Been going to it since it first launched several years ago. Tons of info there. As the Monroeville posts here at MOA are more about the mall itself, necessarily, I can't list [in the entries] all the cool DAWN/Romero sites I frequent regularly, but there certainly are many great ones out there I love! Chris: I've just been re-watching the materials from my "Ultimate Edition" DVD set last week so it's been on my brain even more than usual of late (the remake absolutely stunk to me. Lame and pointless). Ninja Murasaki: Definitely! Heck, watch it just before you go, too! that might even be better. I just went there last week on my vacation to Philadelphia. The mall was only 5 minutes from the Interstate 76 my family was taking and we needed a brake where we could get out and walk around. It is a great mall. Nice atmosphere,nice pond with fish, and a good selection of stores. They had a nice play area for kids that my sister really enjoyed. The display of Mr. Rodgers actual puppets and clothes was neat. Most importantly, I loved the fact that Dawn of the Dead was filmed here. That display of pictures you see by one of the entrances by Macys about how Dawn of the Dead was filmed and about the mall being built was cool. I haven't watched the movie yet, but I just rented it from the library yesterday and am going to watch it very soon. I've been looking for this mall through your history. I knew it had to be here somewhere since you are DOTD fan. When my family took a trip to Washington DC two years ago, I INSISTED that we take a detour to Monroeville on our way back to Michigan. For me, it was the best part of the whole trip. What a thrill to actually walk through this mall and identify various important spots. 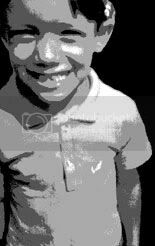 Even though it is much changed, it is also very much the same.